Alexander Bain was a Scottish educationalist and philosopher. He is known as one of the most innovative and prominent minds in the fields of logic, education reform, psychology, linguistics and moral philosophy. Alexander Bain was the founder of Mind, the very first journal of its kind to focus on psychology as well as analytical philosophy. He was also responsible for the application of the scientific method to the study of psychology. At the University of Aberdeen, Alexander Bain held the inaugural Regius Chair position in Logic, was a professor in English Literature and Moral Philosophy and was twice elected as the Lord Rector. 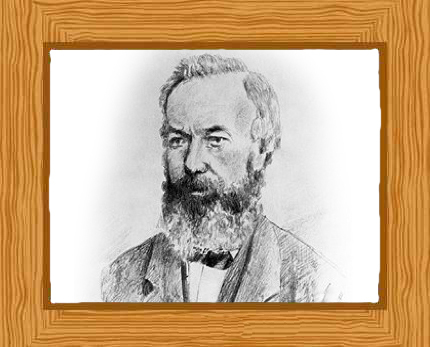 Alexander Bain was born to Margaret Paul and George Bain on June 11, 1818 in Aberdeen, Scotland. George, his father, was a veteran soldier and a hand-loom weaver. Alexander left school at 11 and became a weaver himself. Wanting to educate himself, Alexander attended lectures held in the Aberdeen Public Library and took evening classes at the Mechanic’s Institute of Aberdeen. In 1836, he enrolled in Marischal College where he studied classics, mathematics and philosophy. At college he met Professor John Cruickshank, a professor of mathematics who was of great influence to him. Nearing the completion of his degree Alexander contributed to the Westminster Review with his article ‘The Electrotype and the Daguerrotype’. In 1840 he graduated with the highest honors-with the Blue Ribbon and also the Gray Mathematical Bursary. Alexander worked as a relief professor in 1841 and taught Moral Philosophy, a position which lasted three terms. Alexander continued with his article contributions to the Westminster Review and also helped John Stuart Mill to make revisions on his Systems of Logic manuscript (1842). They became lifelong friends. In 1845 Alexander took the position of Professor of Natural Philosophy and Mathematics at Anderson’s University (now the University of Strathclyde). In 1846, he left this post to allow for more time for writing. Two years later, he decided to move to London and took an appointment at the Board of Health. He devoted a lot of his time and work to social reform. In 1855 Alexander published his main work, a psychological text, ‘The Senses and Intellect’ and in 1859, he followed it up with ‘The Emotions and the Will’. Later, these texts were combined and became the standard authoritative psychology volume for over 50 years. Alexander also worked as an examiner in Moral Philosophy and Logic at the University of London from 1857-61 and from 1864-69. In 1860, Alexander took the newly created position of Regius Chair of Logic at the University of Aberdeen. This position involved teaching grammar, composition and rhetoric as well as mental and moral philosophy. He published several grammar textbooks and is credited with raising the standard of education in the North of Scotland. His work at Aberdeen influenced the way grammar and composition was taught in the entire United Kingdom. Alexander also established a School of Philosophy at the University. His philosophical works were also used in the classroom and in 1870 he published a work entitled ‘Logic’ which was written specifically for student use. The book was loosely based on some works by his friend, John Stuart Mill. In 1876 he started the first ever journal of psychology and analytical philosophy, ‘Mind’, and was its proprietor for sixteen years. Alexander had a special interest in development and social justice and he actively took part in social and political movements in his time. After he retired from the Chair of Logic in 1880, he was twice elected as the Lord Rector at the University of Aberdeen. He worked hard to advocate reform in education. For example, he supported including modern languages in the school curriculum. He was also known to be a strong advocate of students’ rights. After Alexander retired at the University of Aberdeen, he was succeeded by one of his most brilliant students, William Minto. However, retirement did not stop him from working on the subjects and issues about which he was passionate. He still wrote many articles and books including, ‘John Stuart Mill: a Criticism, with Personal Recollections’, and also a biography of his friend’s father, James Mill, in 1882. The last years of his life were spent in Aberdeen and in private. He was married twice but never had any children. Alexander Bain died on September 18, 1903 and his last request was that no stone should be put on his grave and his books were to serve as his monuments.